NEW YORK/WASHINGTON, Sept 18 (Reuters) - Federal investigators sought to determine on Sunday if there were links among three attacks across the United States this weekend, involving bombings in New York City and New Jersey and a stabbing rampage at a Minnesota shopping mall. While officials described all three as deliberate, criminal acts and are investigating them as potential "acts of terrorism," they stopped short of characterizing the motivation behind any of them until more evidence is uncovered. Twenty-nine people were wounded by an explosive device that rocked New York's Chelsea neighborhood late on Saturday, sending a deafening roar and powerful shock wave through several blocks of the popular Manhattan shopping district. Also on Saturday, nine people were stabbed in St. Cloud, Minnesota, 1,300 miles (2,100 km) away. No international militant group immediately claimed responsibility for the New York blast, or for an undetonated pressure-cooker bomb found four blocks away or a similar device that went off earlier along the route of a Saturday road race in suburban New Jersey. But New York Governor Andrew Cuomo said the act of blowing up a bomb in a crowded area of Manhattan "is obviously an act of terrorism." No suspects were immediately identified in the New York and New Jersey attacks. The Islamic State militant group quickly claimed responsibility for the Minnesota attack by a man who made references to Allah and asked at least one person if he or she was Muslim before he assaulted the person. An off-duty police officer fatally shot the assailant. Police did not immediately identify the Minnesota attacker, citing an ongoing investigation, although some local media reports gave his name and said he was an African-born junior college student. 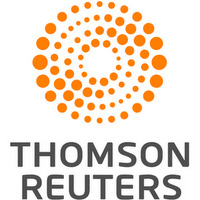 Reuters could not immediately confirm his identity. In New York, officials said they would deploy an additional 1,000 uniformed police officers and National Guard troops around a city already on a high state of alert heading into this week's United Nations General Assembly. The event will bring some 135 heads of state and government to America's most populous city. Federal Bureau of Investigation experts were examining remnants of the two devices that went off in Chelsea and Seaside Park, New Jersey, some 80 miles (130 km) south of New York City, as well as the third undetonated device. That third device was built in a pressure cooker, the same bomb design that killed three people and wounded more than 260 in the 2013 Boston Marathon bombing. A law enforcement official who spoke on condition of anonymity said investigators considered it very strange that similar devices would be planted adjoining states on the same day. No one was hurt by the New Jersey pipe bomb. Both presidential candidates spoke out about the attacks, with Democrat Hillary Clinton on Sunday issuing a statement condemning "the apparent terrorist attacks." On Saturday, Republican Donald Trump said following the New York blast: "We better get very tough, folks." The United States has experienced a series of deadly attacks over the past year by gunmen inspired by Islamic State, which has been fighting a long civil war in Syria. A man who claimed allegiance to the group fatally shot 50 people at an Orlando, Florida, nightclub in June, six months after a married couple massacred 14 in San Bernardino, California. All of the New York victims had been released from the hospital by Sunday, Mayor Bill de Blasio said. Three of the people wounded in Minnesota remained in the hospital on Sunday, although their injuries were not considered life-threatening, St. Cloud Mayor Dave Kleis told a news conference. Investigators at the FBI's lab in Quantico, Virginia, were set to look to see if the three devices in the New York area had a common design, although a U.S. official familiar with the inquiry said that would not be proof in itself the attacks were linked. "Almost anybody could have fabricated these bombs and used cellphones as timed detonators," said the official. "There are instructions all over the internet, and the crudity, positioning, and relative ineffectiveness of these does not suggest that a more sophisticated group played any role in this." The bombs used in the Boston Marathon bombing were built using instructions that the pair of brothers behind the attack found on al Qaeda's "Inspire" online magazine. The FBI considers the Minnesota episode a "potential act of terrorism," Richard Thornton, FBI special agent in charge of the agency's Minneapolis division, told a news conference on Sunday. He said the investigation was in its early stages and it was not known if the man had discussed his plan of attack with others. Amaq, the news agency affiliated with Islamic State, issued a statement on Sunday saying: "The executor of the stabbing attacks in Minnesota yesterday was a soldier of the Islamic State and carried out the operation in response to calls to target the citizens of countries belonging to the crusader coalition."